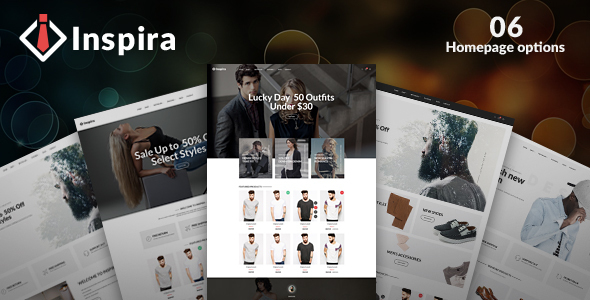 Inspira Prestashop theme is the top option if you’re looking for an ecommerce online to sell fashion such as clothing, bags, shoes, accessories,…It is a simple and easy to use, modern and creative, user friendly prestashop template. Inspira theme has been designed to be efficient and attractive with all customers. Products slider modules such as new, bestseller, featured are arranged logically in each homepage. Label New is green and Sale is hot – show new and discount products clearly. Quickly installation, easy to config and translate in admin of extensions are the highlights of the template. Product Quickview supplies the view with neccessary information of a product such as : name, price, short description, image, customer don’t need to access the detail page. 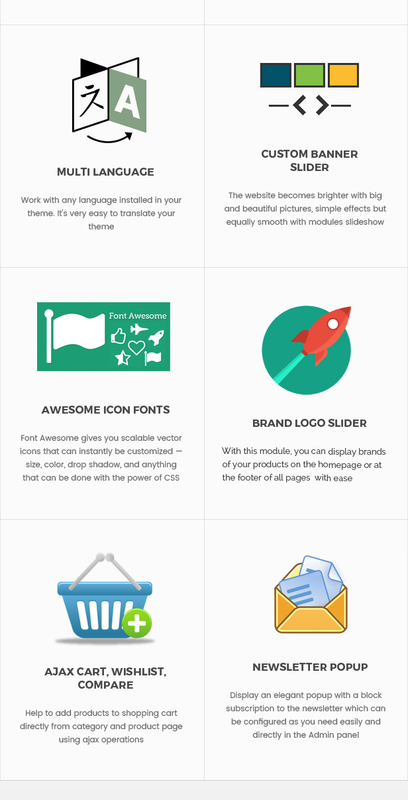 Using social icons, paypal icons at footer, Blog and Testimonial module, your store will be popular with more people. Your sales will increase and your products and customer services will be reformative via comments, feedback, testimonials. Further, it is definitely one of the best RTL themes which are very flexible and support languages like Arabic. On the other hand, this theme comes up with a documentation which will help you and guide you about the theme and if you still face any problem, you can easily contact with our support team. 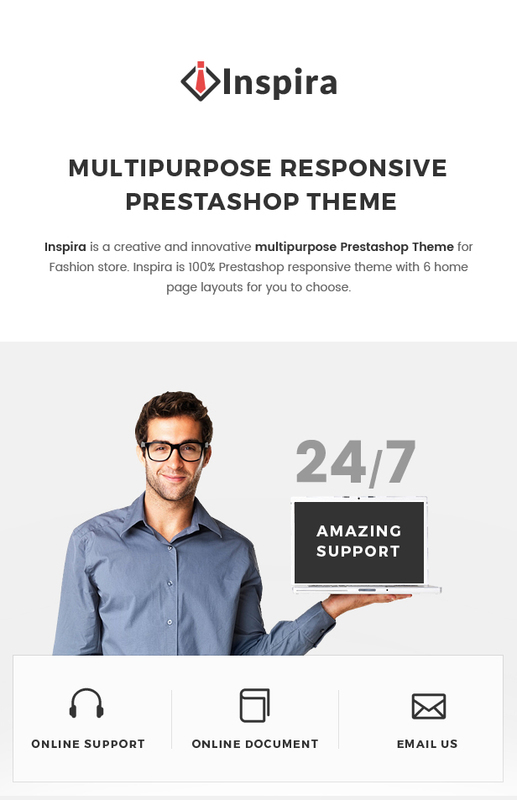 Try Inspira Responsive Prestashop theme now!